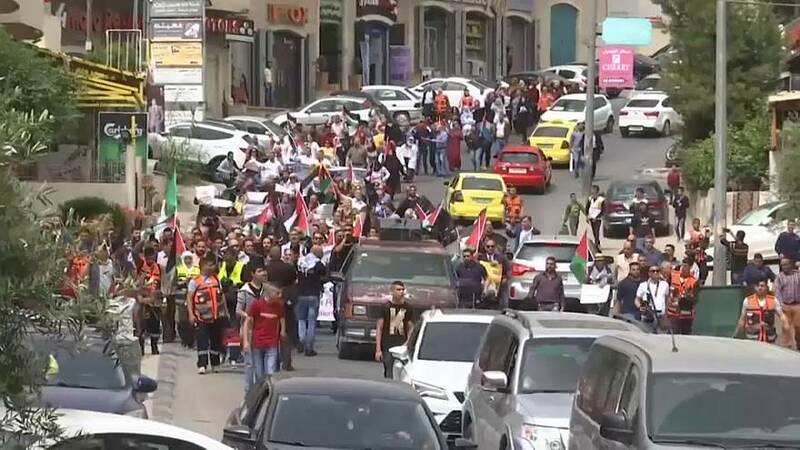 "Today's protests here in the Gaza strip are the seventh week in a row of the so-called "Great March of Return" protests. And that's when we're going to see Palestinians demonstrating near the border here in the Gaza Strip with Israel. "Now there can be violence and there has been in the past but it's going to be nothing compared to next week's main event. "And that's when we are going to see the confluence of two major dates: When the Donald Trump administration is going to be moving the U.S. embassy from Tel Aviv to Jerusalem and that's a move that's already inspired protests throughout the entire Arab and Muslim world and is expected to incite some major violence. "It's also the so-called Nakba Day. That's going to mark the 70th anniversary of the founding of the State of Israel. And that's when we're expecting to see a lot of violence here in the Gaza Strip, Greater Israel and really throughout the Arab and Muslim world. So those two dates are a major cause for concern both for Israeli and Palestinian officials."